Why incorporate a US LLC? The United States LLC is not a partnership or a corporation. It is a distinct business entity that offers an alternative to partnerships and corporations by combining the corporate advantages of limited liability with the partnership advantage of pass-through taxation. 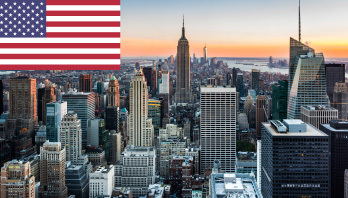 US LLCs with non-resident members and which conduct no business in the US and which have no US-source income, are not subject to US federal income tax and are not required to file a US income tax return. US LLCs are popular vehicles for conducting international business. US Federal Taxation – US Limited Liability Companies structured for partnership tax treatment with non-resident members and which conduct no business in the US and which have no US-source income are not subject to US federal income tax and are not required to file a US income tax return. However a FBAR form has to be filed each year where the bank account balance exceeds $10,000 at anytime. State Taxation – US limited liability companies that conduct no business in the recommended states of formation with non-resident members are generally not subject to state income tax and are not required to file a state income tax return. Annual Reports & License Fees – Of the states recommended here, there is either a minimum or a ‘flat’ annual report or licence fee ranging form $50 to $250 dollars an payable on the 1st of May for Florida and Arkansas, the 1st of June for Delaware and on the Anniversary of incorporation in Wyoming, Oregon and New Jersey. No fees are applicable for New York LLCs. Financial Statements – There is generally no requirement to file financial statements with the state of formation unless the corporation owns assets within that state or has conducted business within that state. Incorporation generally takes 2 days, but allowance must be made for an additional 5 – 7 business days for delivery of documentation.